Connected TV: The storm approaches. This webinar will look to separate hype from reality. It will provide an overview of the status of the connected TV market in Europe and the US, and identify some of the key issues that are exercising broadcasters, platform owners, content creators and device manufacturers as they look to develop and exploit the connected TV market. 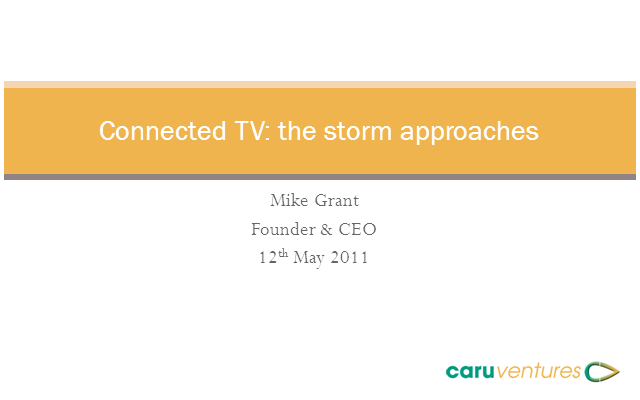 Title: Connected TV: The storm approaches.